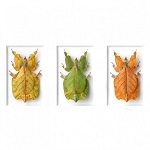 The Pheromone by Christopher Marley 11x14 Walking Weevils is designed by Christopher Marley and is mounted and framed using museum quality archival materials. The insects are hermetically sealed in order to guard against decay. Enjoy this one of a kind piece of artwork today. 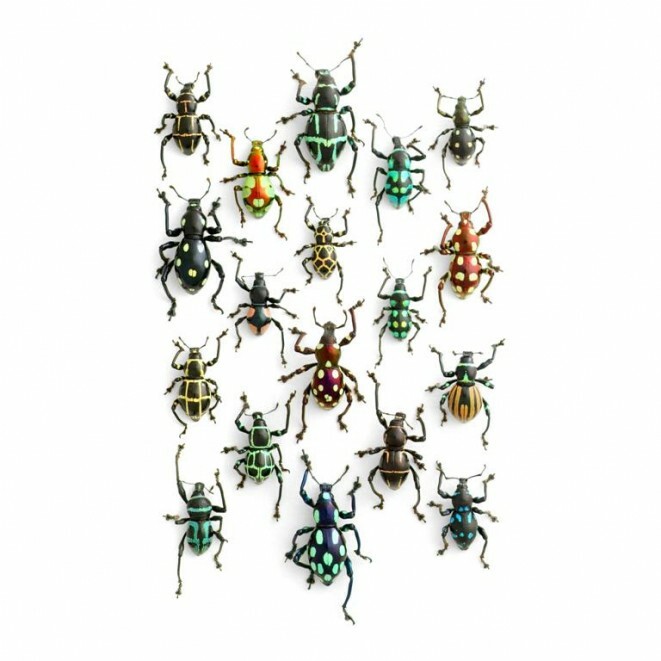 The Pachyrrhynchus family of weevils is so ornately adorned and intricately arrayed that the casual observer may not realize they are not manufactured. Nowhere else in the natural world are seemingly superfluous decorations so profuse and so man-made in appearance. This was my impetus in creating a piece that is uncharacteristically organic. 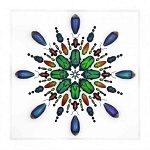 I usually prefer the energy of order and symmetry imposed on wildly organic creatures. But these weevils are so synthetic in appearance that it seemed like a stereotype to have them motionless and symmetrical. 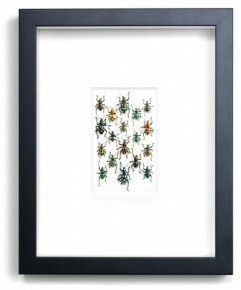 Pheromone by Christopher Marley 11x14 Walking Weevils usually ships within 14 business days. 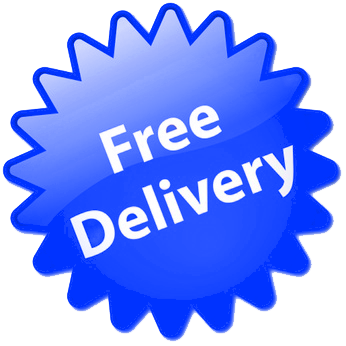 814 points will be rewarded to you when you buy this item.